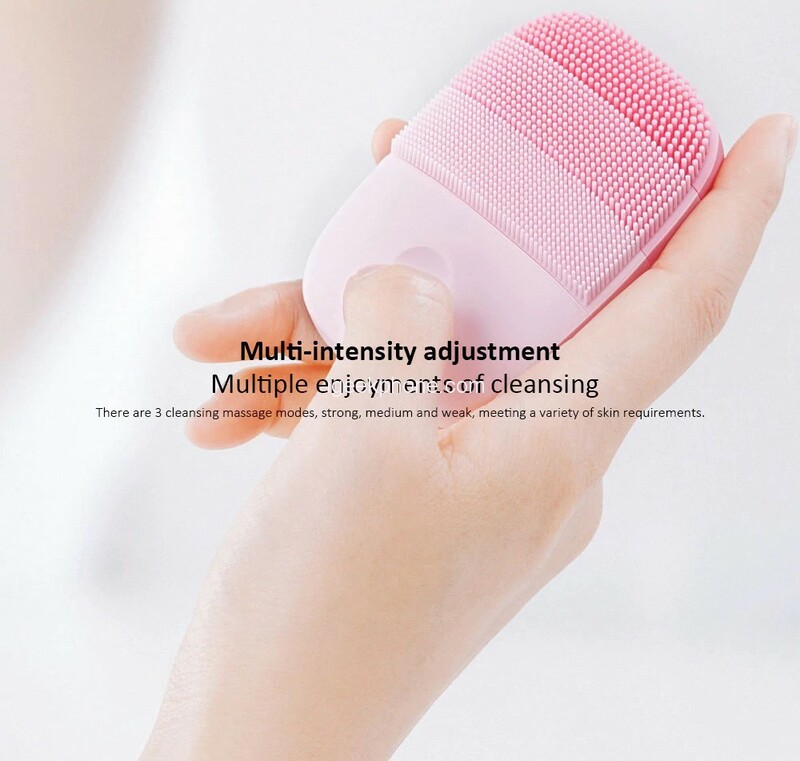 The Xiaomi inFace Small Cleansing Instrument Sonic Electric Facial Brush have deep and fine cleaning function. It can also soothe your skin, four-color segmented clean silicone cleaning instrument. Thick silicone, delicate and gentle. It has three cleaning districts, including clean precision areas, general cleaning areas, deep cleaning areas, which can cater to your different needs. A revolutionary silicone face brush that leaves your skin flawless. High-efficient and quiet in use, thoroughly cleans your pores and remove excess oil. 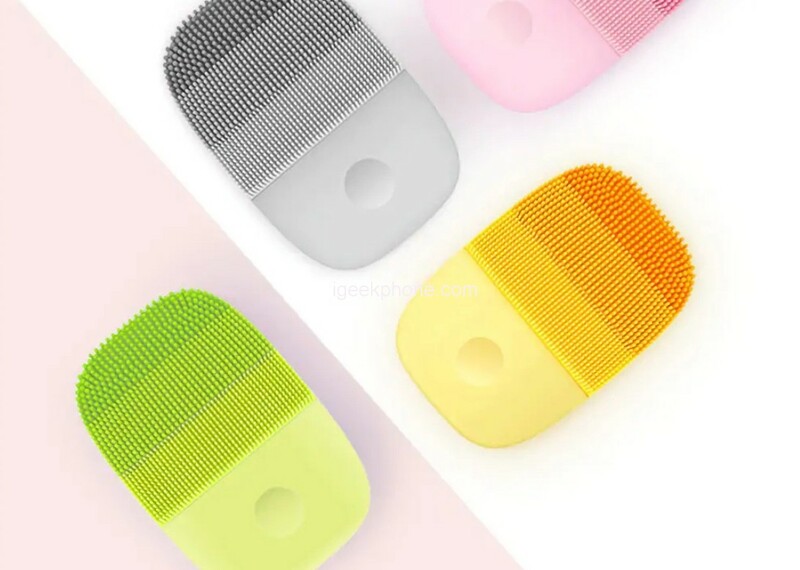 There are three areas dedicated to cleansing the face, each with bristles of different sizes which in addition to being aimed at certain areas of the face adapting to the natural direction of the pores, perform the function of muscle massage. Discover the benefits of ultrasonic cleansing and experience clear, radiant and naturally beautiful skin. 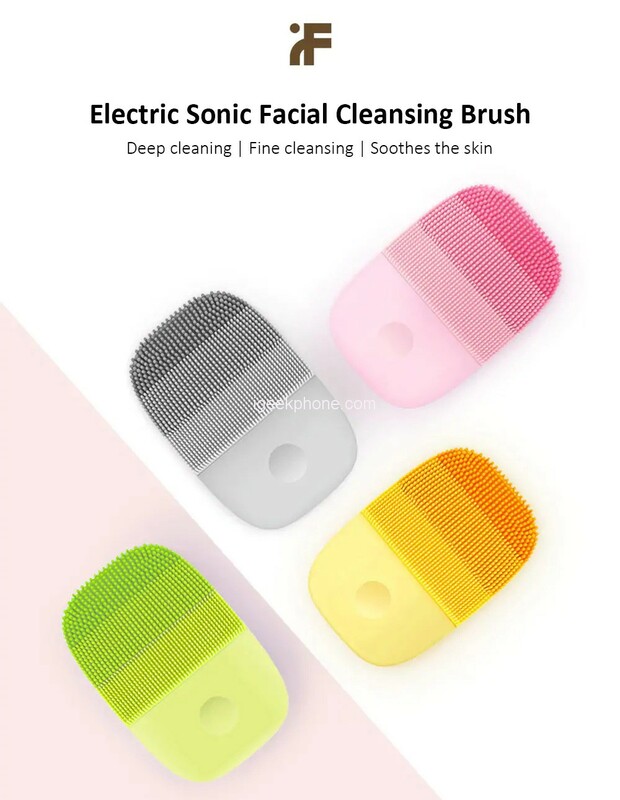 Ultrasonic cleaning offers facial cleansing that brightens and refines your complexion, lifting away dirt, oil, dead skin cells, and makeup residue. It diminishes the appearance of pores and improves the absorption of your favorite skincare products while leaving the skin looking healthy, radiant and clear. The small engine that animates the bristles is produced by Seiko while a little one MCU processor establishes the energy to be dispensed through the sonic waves, effectively reducing the pressure on the skin. 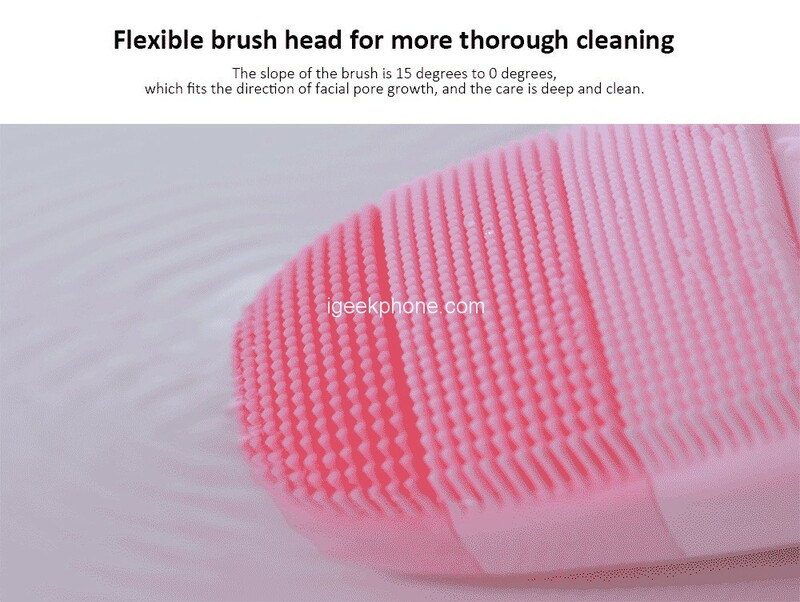 There are three areas dedicated to cleansing the face, each with bristles of different sizes which in addition to being aimed at certain areas of the face adapting to the natural direction of the pores, perform the function of muscle massage. 90 seconds will be enough to get results worthy of the best beautician and refreshing the face. With 3 modes to choose(low, medium, high) freely, satisfy your different needs. 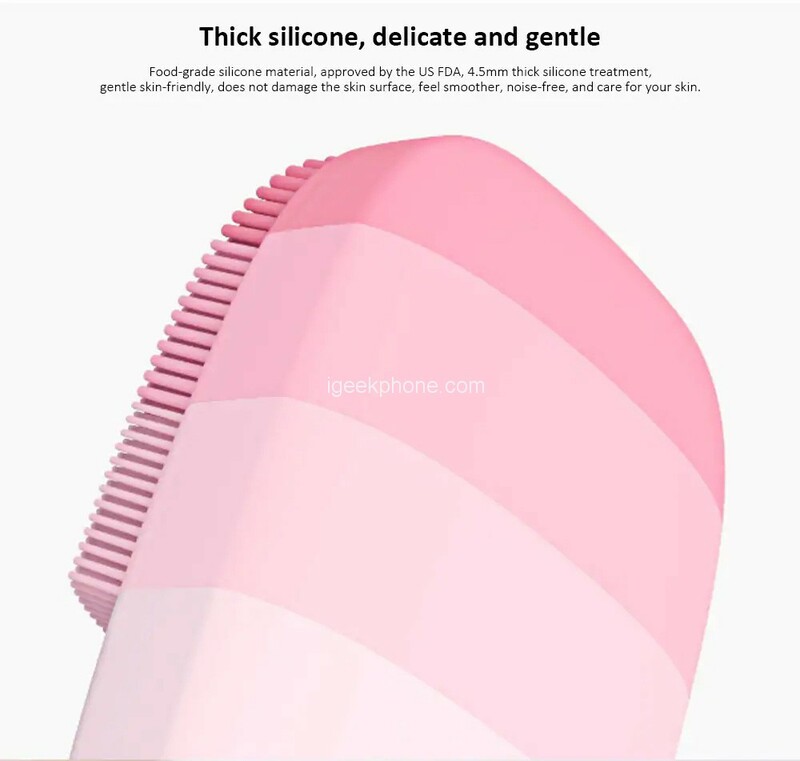 The material used in the whole shell and bristles is food-grade silicone with a thickness of 4.5 mm with FDA certification. IPX7 waterproof allows cleaning by rinsing under the tap, very easy and convenient. USB charging-don’t need to replace the battery. Put the Cleansing Brush on the Charging base when it needs to charge. Small and convenient to carry for travel. Built-in 400mAh battery, USB rechargeable, no need to replace.